people to vote on the issues it considers most important. will be made in the days that follow. September 27. 2pm. Battery Park. 19, please email volunteer@nyccan.org and put VOLUNTEER in the subject line. 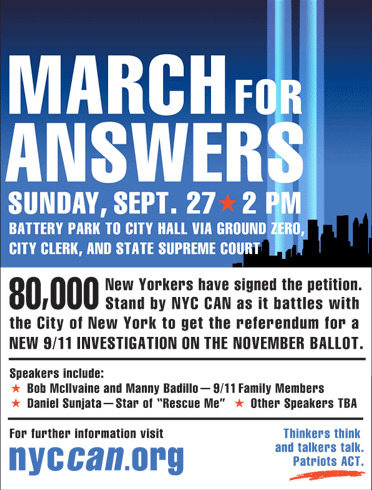 For fliers to print out and distribute on your own, go to nyccan.org. Thinkers think and talkers talk. Patriots ACT.